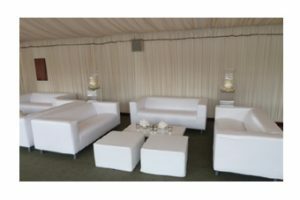 Rio Lounge are specialists in event furniture hire and are proud to stock an outstanding range of stunning elegant furniture, perfect for weddings, corporate events and social occasions. From chairs and tables to club lounge sets and event accessories, Rio Lounge can ensure that your event is remembered long after the drinks have been cleared and your guests have danced the night away. 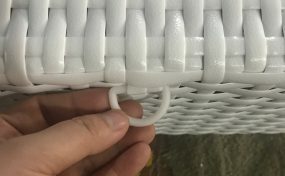 When you hire a white sofa you automatically create a touch of luxury. Rio Lounge’s chaise lounges are the perfect finishing touch for a classic wedding, white party or a traditional afternoon tea with a historical theme. Marquees can be transformed into dream venues with the right lighting, tableware and accessories and Rio Lounge have a great range of marquee furniture hire ideas. However, the outside area around the marquee is often neglected. But for a summer wedding or social event, creating a terrace outside the marquee is a fabulous way to help your guests relax and extend your event space. 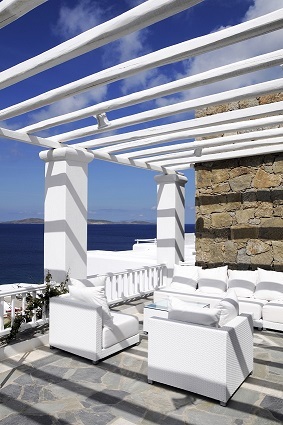 Rio Lounge’s white Marrakesh Club sofa sets create the perfect outdoor lounge area for your guests. 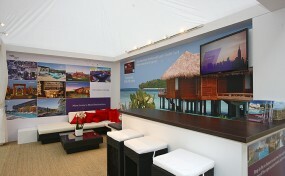 However enticing your exhibition stand may be, it’s often all too easy for people to move onto the next stand. If you want to hold your customers’ attention for longer, then hire a white club lounge sofa with a low table for promotional materials, and give your prospective customers somewhere to relax. Once people get comfortable, they are far more likely to stay and take in more information about your brand and your key messages. Find out more about our exhibition furniture hire. If you love the beach lifestyle but live miles from the sea, you can create your own beach party in style with our white club sets complete with scatter cushions and our ever-popular Miami Day Beds. Add some cocktails and lounge music and you have the key ingredients for a perfect party. These types of events are particularly popular with the corporate scene, so if you want to impress your clients then Rio Lounge has everything you need. Whether you are holding your event in a manor house, village hall or in the comfort of your living room, if you hire a white sofa you will transform your space into an unforgettable venue. White furniture is instantly more eye catching, and your accessories and tableware will stand out perfectly against the clean white lines. By the time you’ve completed the finishing touches, your everyday space will be unrecognisable. 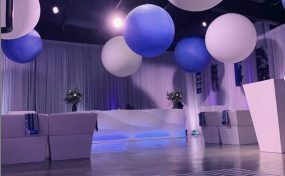 Events are designed to share special moments with friends and family, to impress companies or clients or to celebrate your wedding day with the one you love. 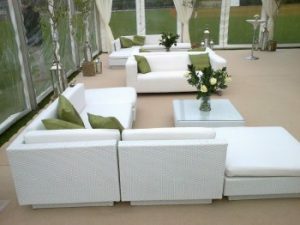 If you want your special event to really stand out above the crowd, then hire white sofas with Rio Lounge and create a touch of luxury and sophistication that your guests will love. For more information take a look at our sofa hire options.